Pest description and damage The adult is a small (0.1 inch) orange to yellow fly which emerges in early May. Eggs are laid and the larval stage begins to mine the tissue of leaves. The boxwood leafminer is a small yellow to orange maggot found inside the mined leaves. Leafminers feed by removing green tissue from between the upper and lower leaf surfaces. 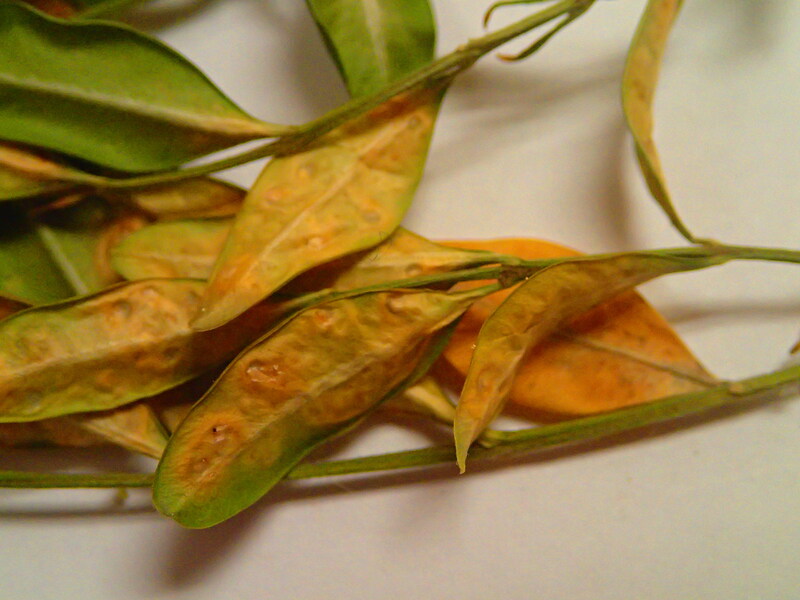 Feeding by leafminers can be detected by the presence of yellow to brownish blotchlike mines or by a blistered, thickened appearance to the upper surface of leaves. Damage is mainly aesthetic, but repeated severe infestations may damage shrubs. Biology and life history The insect overwinters as larvae in the mined leaves. In spring, they become active and grow rapidly. The orange pupae can be seen clinging to the leaf before the adult fly emerges. Female flies lay eggs on the upper surface of the current season's growth. The larvae hatch and mine the leaves through the summer. There is one generation per year.